Description : Work.com is a new service from Business.com, the largest business-to-business search engine and directory. 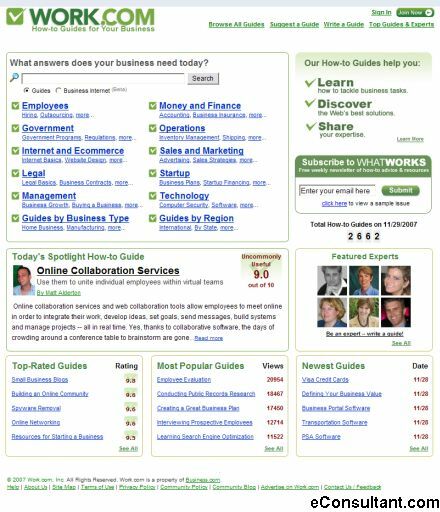 Business.com and Work.com help small business decision-makers solve their most pressing business problems and realize their most compelling opportunities. They make it easy to find the most useful business websites, products, and services saving the users time and money.